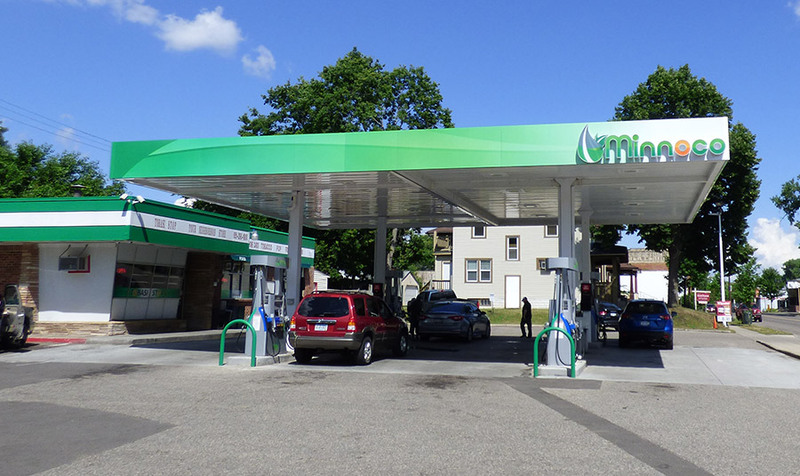 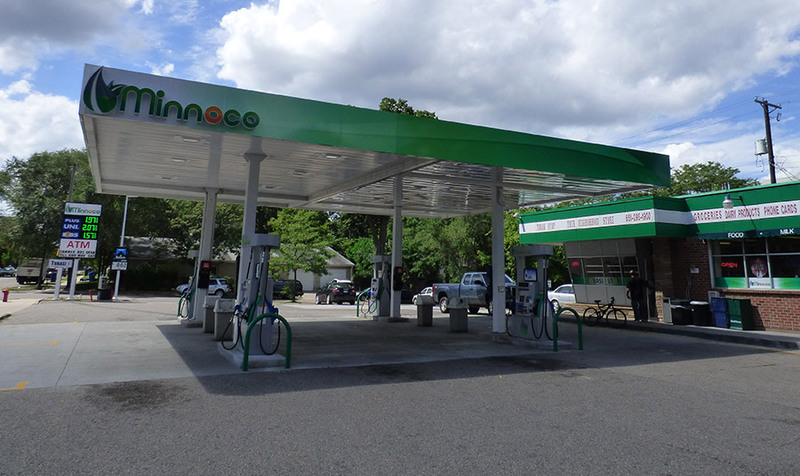 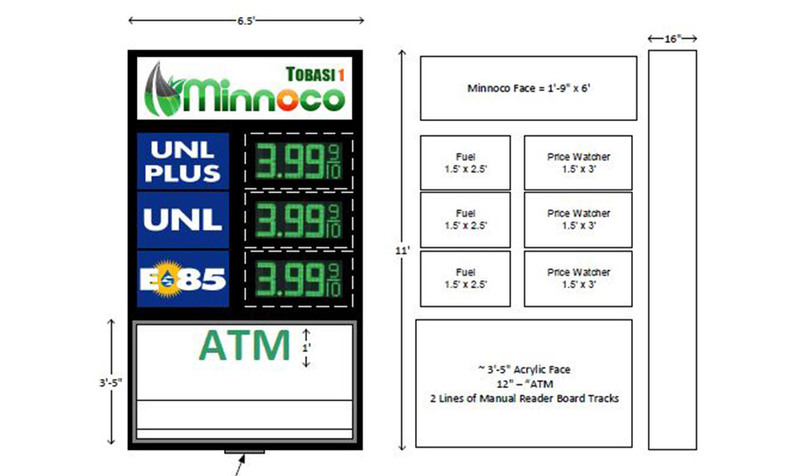 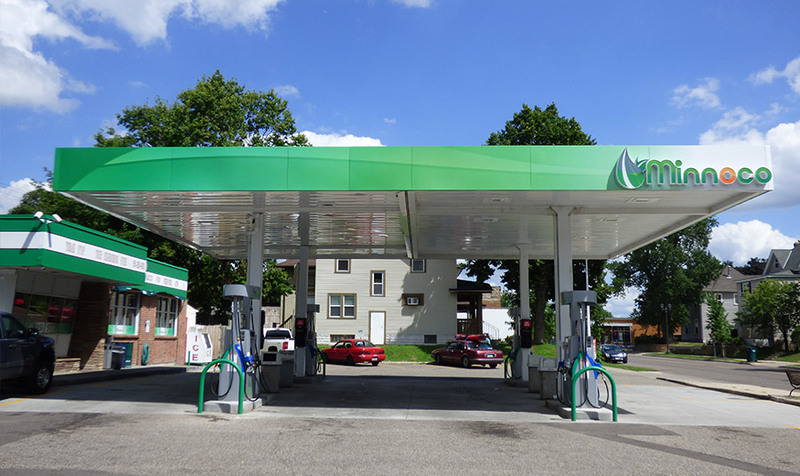 Tobasi Stop (a convenience store and gas station) rebranded itself to be a part of a new Minnesota based station affiliation, Minnoco. 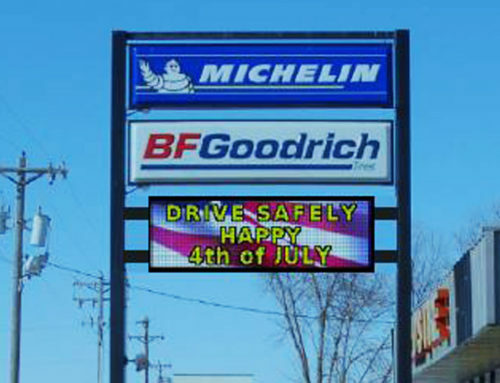 Think Digital Signs provided comprehensive design drawings and mockups, which allowed ownership to choose the design features that were important to them. 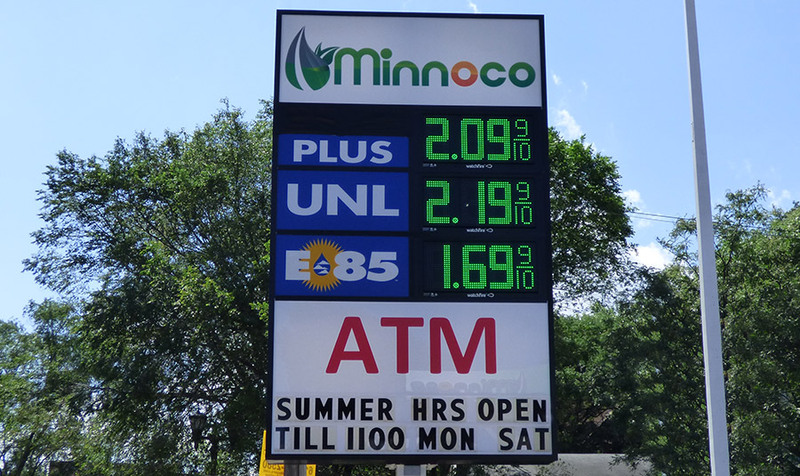 After settling on designs, Think Digital Signs delivered high quality crisp graphics for the canopy, ID sign, building awnings and windows.